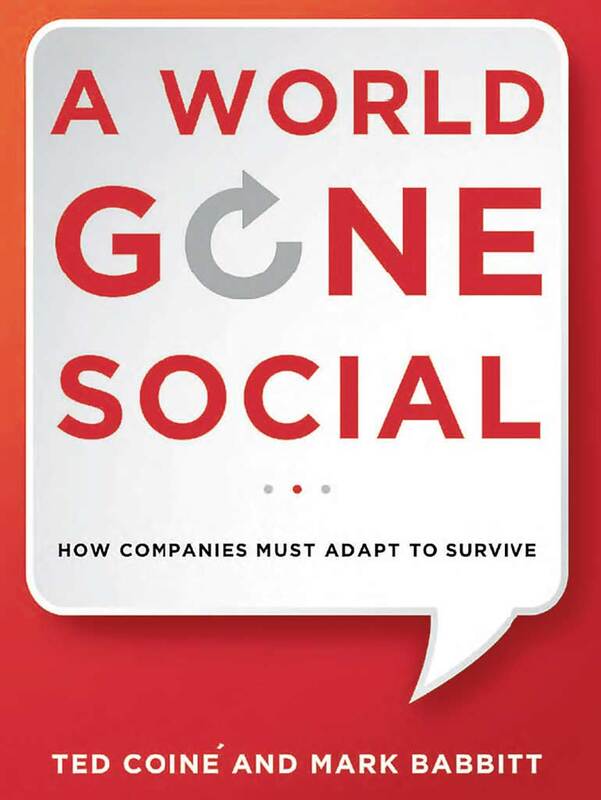 I came across an interesting and insightful book entitled ‘A World Gone Social’. The authors Ted Coine and Mark Babbit take us through an important journey by discussing how we have transitioned from the industrial age to what they call ‘the social age’. Today’s column is a discussion of its contents and its connectivity with a Sri Lankan context. “Social media has taken the world by storm, leaving many people in the dust. At long last, we have a survival guide. This lively, timely book is relevant for all of us,” says Adam Grant, Professor at Wharton Business School, while commenting on the book. Social media is commonly known as social network websites (SNWs) such as Facebook, MySpace and the more professionally-oriented LinkedIn. SNWs as well as related applications (e.g. micro-blogging websites such as Twitter) also allow recruiters to conduct extensive background checks. SNWs allow individual users to post personal information on the internet in order to communicate with friends. Twitter allows short weblog messages of 140 characters (called ‘tweets’) and full social network websites such as Facebook, Google Buzz and MySpace allow users to post multiple pages and include photos and videos; friends can also make comments. Both the authors are social media experts. Coine is the co-founder of Switchand Shift, an online community focused on leadership, culture and change in the Social Age. Recently named a Forbes ‘Top 10 Social Media Power Influencer’, he lives in Naples, Florida. Babbit is CEO and Founder of YouTern, a social resource for young professionals that Mashable (a digital media network) calls a ‘Top 5 Online Community for Starting Your Career’. He lives in LakeTahoe, Nevada. This isn’t change for the sake of change. Neither is this change to fine-tune the status quo as we saw in the Twentieth Century with Six Sigma, Total Quality Management and the Lean Movement, which simply helped bureaucracies function at a more efficient, profitable level. “This is real, systemic change,” observe Coine and Babbit. The book begins with a discussion on the surface changes currently under way - business issues that have caught much attention. The authors discuss how some old school leaders seem dimly aware of the new era upon us and so are left grasping in the dark, while others remain unconvinced of the power of social media, so they fail to take action. “We’ll also take on those who resist for another reason: the ‘if it ain’t broke, don’t fix it’ crowd, oblivious to the imminent change - and the turf protectors who perhaps have a vested personal interest in resisting social’s influence,” the authors state. “Just like the meteor that likely precipitated the end of the dinosaurs, social media is having a monumental impact on the world’s economy; a change so dramatic that it has created a new business era. ‘Welcome to the Social Age’,” the book says. ▶Those rooted in the belief that social media is a fad and will go the way of the Rolodex, fax machine and VHS. ▶Those who view social from a ‘sales have never been better; our quarterlyreport was great; why change now?’ mentality. ▶Those who are afraid to lose the control they have now as leaders (and our experience shows there are more old schoolers in this camp than we’d like to admit). They don’t want change because it effectively means the end of their power. British: I recommend you divert your course 15 degrees to the north to avoid a collision. Irish: Negative. Divert your course 15 degrees to the south to avoid a collision. British: This is the aircraft carrier HMS Britannia! We are the second largest ship in the British Atlantic fleet. We are accompanied by three destroyers, three cruisers and numerous support vessels. I demand that you change your course 15 degrees north. I say again, that is 15 degrees north or countermeasures will be undertaken to ensure the safety of this ship and her crew. Obviously arrogance prevented the British captain from reaching out and knowing the truth. The way I see it is that the time has come to shift from the ‘dinosaur mindset’ to a ‘dynamic mindset’ with a greater willingness to embrace change. Generation Y, or the Millennials, are considered ‘digital natives’. When they make up the majority of the workforce, the workforce thinks much differently. In today’s workforce, many of us trust each other and communicate more, and in turn we’re more authentic and open to input and criticism. Many of us invite collaboration from all sources - even from our competition, when mutually beneficial. More than anything else we’re more cooperative and social. “As organisations and leaders, we must adapt to this social, collaborative, open environment— or we simply won’t survive,” the authors write. For many organisations, still entrenched in old- fashioned Industrial Age-style management practices, it may be too late. Coine and Babbit present evidence to prove that enabled by social, the human side of business grows exponentially. Here are some salient points highlighted by them: “In the form of freelancers, competition in our new economy sprouts up at will. With little or no infrastructure, minuscule start-up costs, and next-to-nothing monthly expenses, they launch in a matter of days - and gain immense traction, even when competing against corporate giants - through social media. Customers, no longer beholden to marketing departments or advertising agencies for guidance or input, confer with each other; they compare notes, thoughts and experiences about the companies with which they and theirvast networks do business. One person, with a Twitter account and a lot of passion, can hobble corporate titans, media outlets, politicians and others with less-than-honorable ambitions. Expertise has become democratic; in less than an hour and for zero dollars, anyone can establish himself or herself as an expert - or an expert critic - in any industry. Without corporate consent (or even knowledge), employees collaborate with each other, as well as with vendors, customers or even competitors. Job seekers ask current employees (as well as past employees, vendors, customers, partners, public forums and personal networking contacts) what working at the company is really like; in the process, they mute the canned, inauthentic messages of recruiters and public relations departments. Highly competitive human resources departments - those effectively attracting, hiring, and retaining top talent in our new economy – are becoming human again (the rest are accelerating their companies’ collective plunge toward extinction). Through digital self-learning, knowledge is everywhere. The ‘powers-that-be’ - those previously able to hoard knowledge - are now impotent rulers, the ‘powers that were’. I wonder whether the above long list is applicable to Sri Lankan managers. Let’s find out. We have seen media reports of the good, bad and ugly use of Facebook in Sri Lanka. Some teenagers come home and go straight to their rooms and connect with Facebook friends without even showing their faces to their parents. With the presence of more than 3 million Sri Lankan internet users, the increasing trend of using the SNWs for multiple purposes is obvious. With regard to the corporate sector, the use of SNWs for multiple purposes is also coming to the forefront. Based on my ongoing research related to Sri Lanka, several key IT firms have benefitted from SNW-based hiring. There may be policy issues and procedure inadequacies. Yet the fact remains that the emerging workforce is more tech-savvy and internet-friendly. The rising popularity of internet usage for socially-critical events such as the release of exam results and utility payment gateways is a promising sign. Much can be done with both creativity and control in order to ensure that the richness of the social age is reaped.